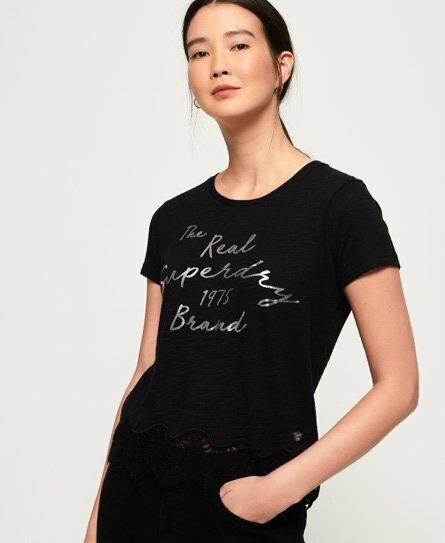 Superdry women’s Somertrees lace t-shirt. A short sleeve tee featuring a Superdry logo across the chest with a metallic finish, delicate lace detailing on the hem and finished with a small, metal logo badge just above the hem. Pair this with a denim skirt and heeled boots for that day to night look.